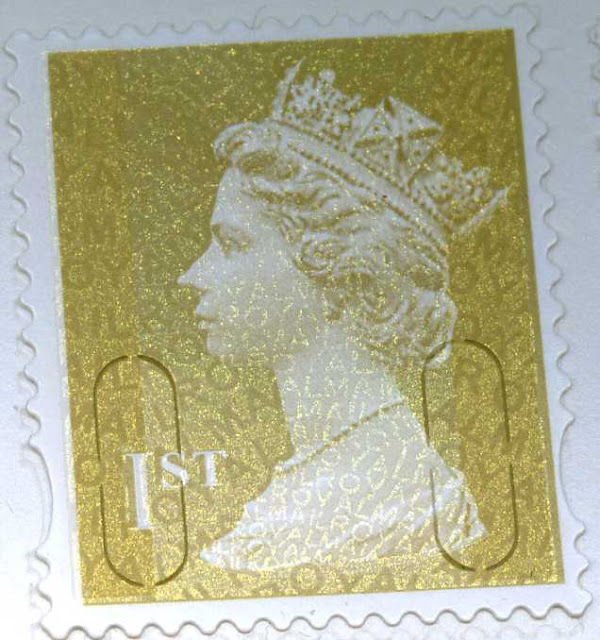 We've been sent a photo of the latest 1st class gold definitive forgery. This one has security features, including the slits and an overprint MSIL, but with no year code. I'm told that this is identifiable as it is on bright paper, with no phosphor and printed in Litho. It appears to have varnished 'phosphor bands'.